7 Amazing Color-changing Animals In The World. The rapid changing of skin color is one of the most amazing things we can see in the animal kingdom. The way such animals blend in with their surrounding is definitely a miracle play. Here the list of 7 amazing color-changing animals in the world. The Pacific tree frogs native to the West coast of North America are easily distinguished by their sticky toe-pads. It helps them to easily grip and climb on plants and tree branches. The diversity in skin color is another great feature of Pacific tree frogs. They found in various colors including green, tan, red, brown and green. In addition, Pacific tree frogs can also change their color in according to the surrounding. This change of color will happen in a few minutes. 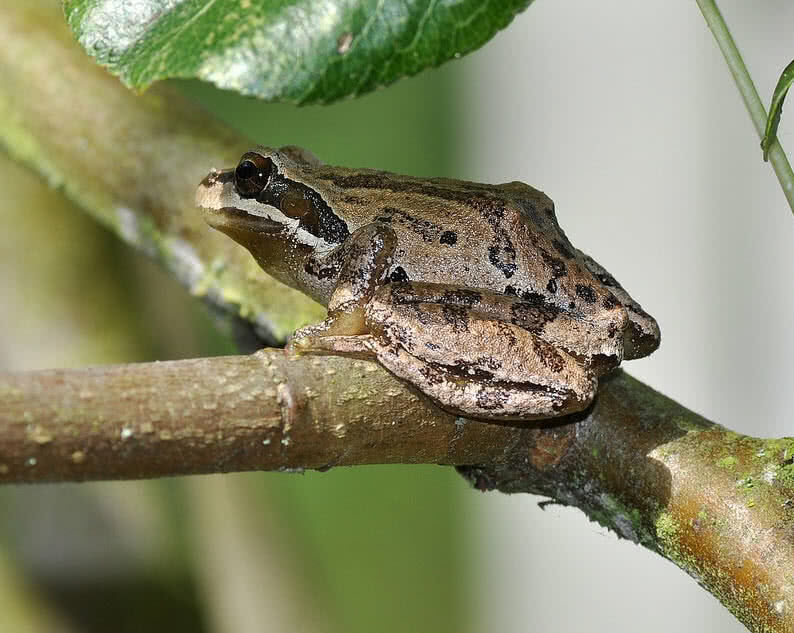 In that way, it becomes difficult to spot the Pacific tree frogs by the potential predators like snakes and birds. Inhabit in small ponds, woodlands, and grasslands in the West Coast of North America. It is a small amphibian, only has a length between 2.5-4 cm. Despite they are great climbers, found very close to the ground most of the times. Known for their distinctive loud ‘Kreck-ek’ call. One of the most beautiful and amazingly adaptive Arctic animals. They can even survive freezing temperature as low as -50 degree Celsius. The thick fur is one of the main features of Arctic foxes that make them well adapted to live in frigid Arctic climate. Their rounded body shape and short legs and ears also let them conserve heat. 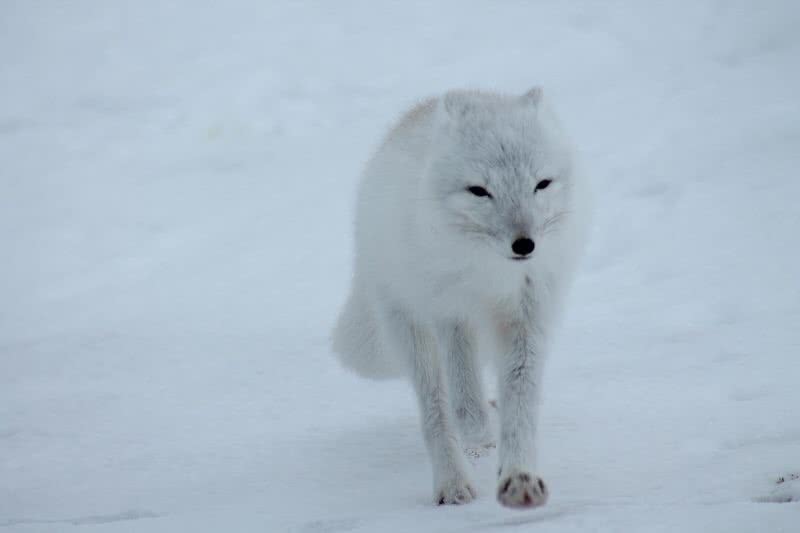 Throughout the winter, the Arctic foxes have beautiful white coats. It allows them to blend in with the snow of Arctic tundra. So that the Arctic foxes can effectively catch the preys like hares and fishes. In next summer season, their color will change to brown. It provides excellent camouflage against the rocks of Arctic tundra that time. Has a length between 46-68 cm and weigh up to 7 kg. Live in burrows created on the thick snow. Has an excellent sense of hearing, make them effective hunters in extreme Arctic conditions. They have fur under the paws. It helps them to walk effortlessly on snow and ice. The golden tortoise beetle is a tiny insect that native to North America. They often called as ‘golden bugs’ because of the striking golden coloration. The ability to change color rapidly is the one thing that makes golden tortoise beetle so special among the family of beetles. 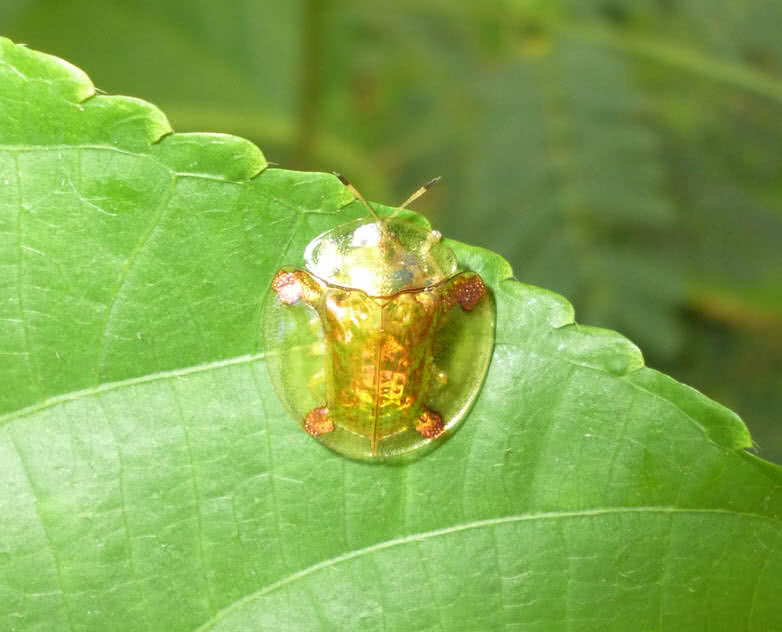 When threatened, the golden tortoise beetle will change their color to brilliant goldish orange. This change of color will happen under 2 or 3 minutes. Once golden bugs change their color, they will look like a poisonous insect. It will also surprise the predator. Thus. golden bugs could make a narrow escape by their rapid color change. They only measure 5-7 mm in length. Golden bugs change their color by controlling the fluid flow through the channel under the shell. Golden tortoise beetles normally host on plants like sweet potato and morning glory. 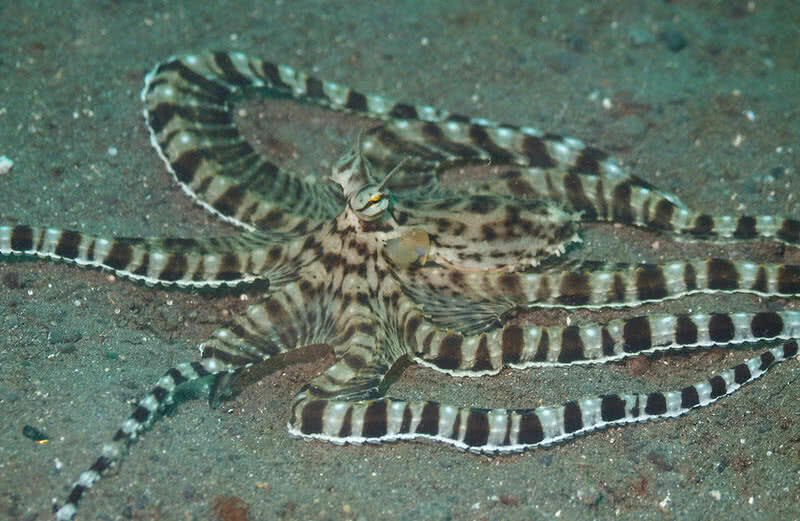 The mimic octopus is an intelligent and amazing aquatic animal that native to the Indo-Pacific region. They are named after their ability to mimic various sea animals including lion fish, sea snake, stingrays and jellyfish. In addition to body movement, they can also turn into the color of animals they choose to mimic. They also use the color changing technique to blend with the surroundings. The mimic octopus is the first known aquatic species with the ability to mimic other animals. They use this technique to avoid the predators and to catch the prey. Their mimicry behaviour is based on the type of prey or predators approaching. The majority of animals choose by the mimic octopuses to mimic are poisonous. They make burrows and tunnels on the seafloor. Mimic octopuses are intelligent enough to know what type of animal could defend their current predator and they act accordingly. If no other food sources found, mimic octopuses will eat each other. The cuttlefishes are medium-sized cephalopods that found throughout the world’s oceans. 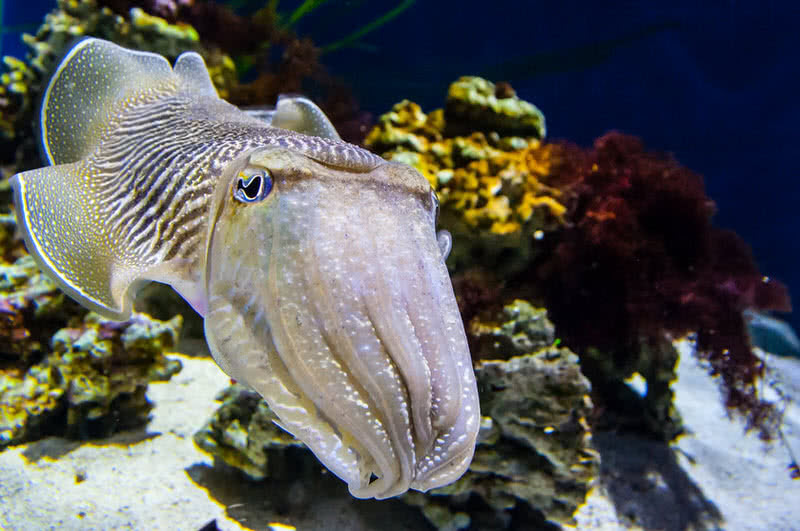 There are more than 100 different species of cuttlefishes in the world. Cuttlefishes are known for their excellent camouflage power. With the help of millions of pigment cells, cuttlefishes can easily change their color in accordance with the surroundings. Thus, cuttlefishes can be completely invisible on the seafloor. It also helps them to remain undetected by the potential predators. Cuttle fishes are one of most intelligent invertebrates on world’s oceans. Have two long tentacles and eight arms. Cuttlefishes uses their coloring technique during mating. Cuttle fishes are blind to colors. They can see the polarized light which is invisible to human. Flounder fish is an excellent example of adaptive camouflaging. 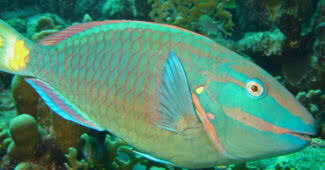 They can easily alter the body color depend on the habitat. 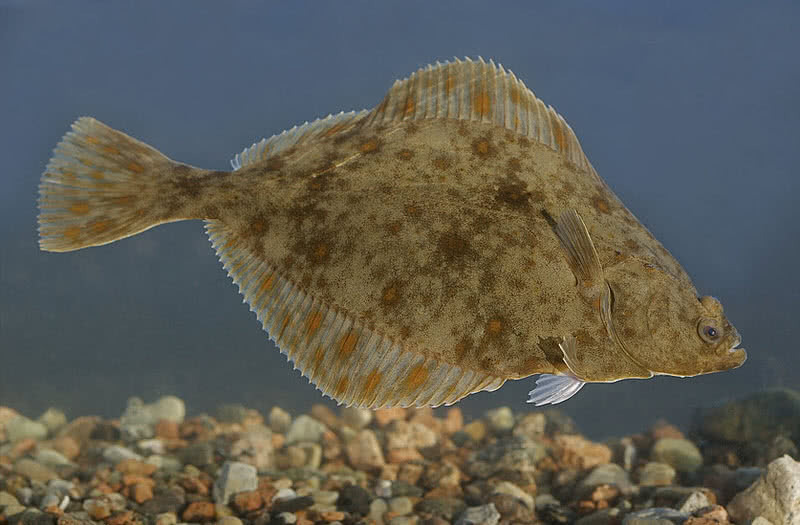 Flounders are usually found in brown color with different markings. It will change when they move to a new habitat. In fact, the flounders can blend in with any new habitat in just 5-8 seconds. Once a flounder fish reaches in a new habitat, their body will use the light received through the retina to detect the color of the surface. Then the body will release different pigments to the skill cells to turn into the color of new habitat. In addition to the camouflage technique, flounders have nocturnal behavior, only hunt at night. It makes them hard to detect by the potential predators like sharks and eels. Flounders can grow up to a length of 5 to 25 inches. They usually remain motionless on the seafloor and blend in with the surroundings. Flounders make surprise attack on preys including crabs, shrimps and small fishes. Flounders uses their vision, hormones and specialized skin cells to change the color in accordance with the surroundings. Perhaps no other name comes to our mind when talking about color-changing creatures. The rapid changing of skin color is the most distinctive feature of chameleons. Of course, chameleons can perfectly blend in with the surroundings using this behavior. But, the changing of the skin color of chameleons is actually caused by the change of their mood and temperature and intensity of light in the surrounding. Some species of chameleons can turn into almost any color. Chameleons have special pigment bearing cells under their skin. The change in mood, temperature or lights send a message from the brain to these cells. It results in the change in the color of skin. This change will happen in just 16-20 seconds. Chameleons use this technique to communicate with other chameleons. It also allows them to perfectly blend in with the surroundings. There are 160 different species of chameleons in total. Half of world’s chameleon species live in Madagascar island. Chameleons can move their eyes independently each other. Thus, they will get a 360-degree view of the surroundings. They vary in size. The Parson’s chameleon is the biggest chameleon in the world which measure up to 27 inches in length. Brookesia micra is the smallest known chameleon which is only 0.5 inches in length. Chameleons tongue measure 1.5-2 times of their body length. 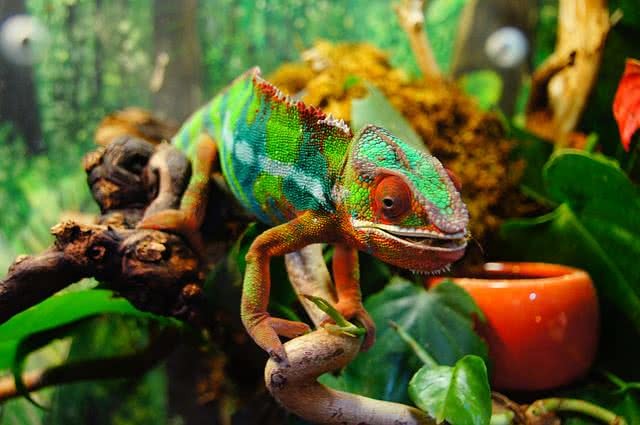 Chameleons can see both visible and ultraviolet light.